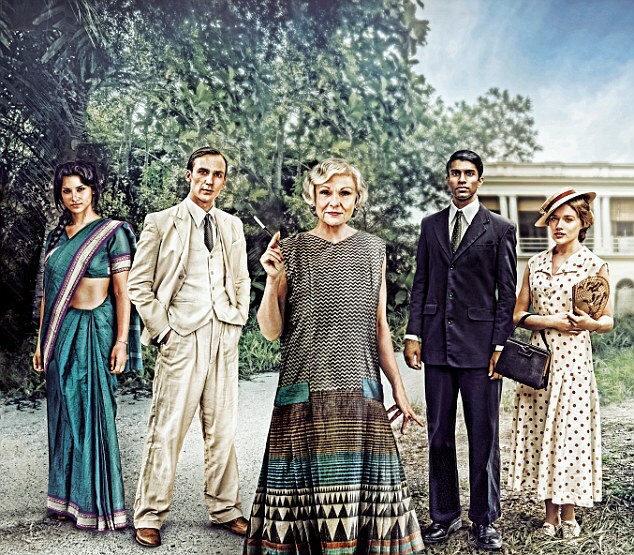 Channel 4’s ‘Indian Summers’ proves itself as a gritty and suspense filled period drama. Set in the summer of 1932, the ten part series follows the Indian town, Simla, which is back-dropped by the Himalayan Mountains and mesmerizing scenery. The town acts as playground for the rich, power-hungry British civil servants who govern the entirety of India from the comfort of their glistening stone mansions. As the people of India continue to fight for liberation and independence, the show focuses on the power struggles and growing tensions from both sides, entangled in the chaos together. Episode one began slowly and I feared the series would lack excitement and impact. I was wrong. The visual of the small mixed-race boy wearily running from the town – to then be found on the train tracks – is powerful television. The storyline continues to deepen, raise new questions and throw the audience off in a different direction. As soon as one thread becomes tied, another five become unravelled, and the growing intensity mounts. I believe Channel 4 have successfully portrayed the racism and divisions of the time, but only in the coming weeks, will we see if the mystery and suspense lasts. Posted in Arts and tagged indian summers, tv review. Bookmark the permalink.